Mouse Poison is highly effective at killing mice and easy to use. Look for signs of rodent activity, for example where there are fresh droppings, inside or near burrows, runways and feeding places. Use up to 40g per bait point and place 5 metres apart, reducing to 2 metres in areas of high infestation. For the protection of pets and children, use a bait station to prevent from accidental exposure. Poison Bait Blocks are irresistible and highly attractive to rodents. Mouse & Rat Poison Bait Blocks have been shaped to ensure rats and mice eat their lethal dose fast. The bait blocks have been designed with a hole through the centre so that they can be easily secured on the baiting rods within our range of rat and mouse baiting stations such as Lockable Mouse & Rat Bait Station. Poison Bait Grain is irresistible to mice. Rat and Mouse Killer Poison Bait offers the customer full flexibility on the amount needed to be used. This type of grain bait is probably the most popular bait in the professional service market used in domestic, commercial and farm environments. For best results and to remove the risk of accidental exposure use poison baits with a bait station. Poison Paste Sachets are irresistible to mice. Rat & Mouse Killer Paste Bait Sachets are extremely effective in the control of mice indoors and outdoors. The bait packs are edible and cleverly designed to allow the smell of the attractants out, yet keep the bait in very good condition against any extremes in weather. Mouse Bait Boxes are designed to prevent accidental exposure to mouse poison. If you wish to use Mouse Poison when there are children and pets in the house, a Mouse Bait Box or Bait Station will ensure only mice can gain access to the bait. For added safety, some of our Mouse Bait Boxes come with securing rods to hold bait in place, should the bait station get knocked if not fixed down. 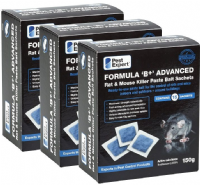 Pest Expert Formula 'B' is an industrial strength mouse poison now approved for amateur use. Manufactured in the UK, using only the highest quality grain and containing Brodifacoum at the maximum legal strength. Pest Expert Mouse Poison Kit 1 (Pest Expert) is designed for situations where low levels of mouse activity have been noticed. Containing 300g (3 x 100g) Formula ‘B’ Mouse Poison grain bait, 15 Formula ‘B’ Mouse Bait Blocks, 4 mouse bait trays and 6 Mouse Bait Boxes for secure baiting in sensitive areas. With two types of maximum strength Brodifacoum rodenticide the user can conduct a 'double-pronged attack' - the quickest and most effective method of mouse control. Pest Expert Mouse Poison Kit 2 (Pest Expert) is designed for situations where moderate levels of mouse activity have been noticed. Containing 600g (6 x 100g) Formula ‘B’ Mouse Poison grain bait, 30 Formula ‘B’ Mouse Bait Blocks (2 x 300g), 8 mouse bait trays and 12 Mouse Bait Boxes for secure baiting in sensitive areas. With two types of maximum strength Brodifacoum rodenticide the user can conduct a 'double-pronged attack' - the quickest and most effective method of mouse control. 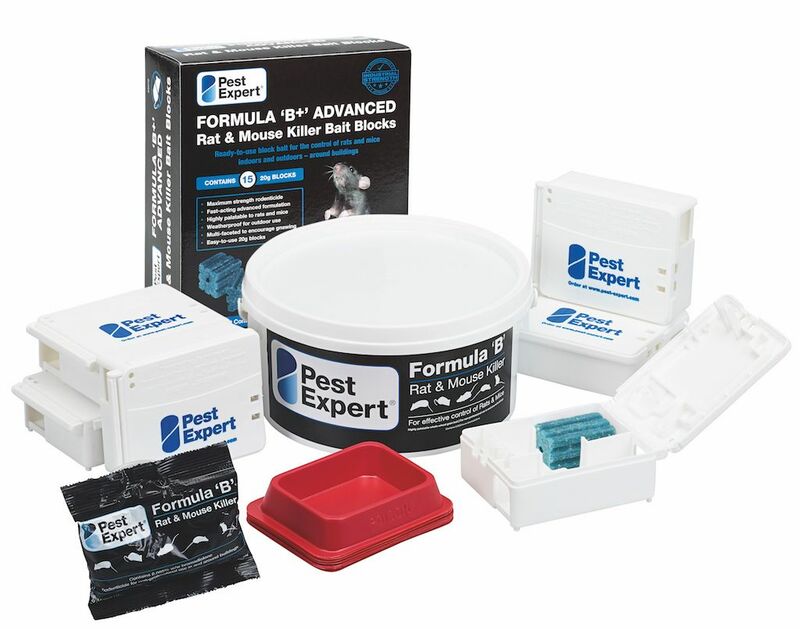 Pest Expert Formula 'B' mouse poison bait blocks contain an industrial strength rodenticide, now approved for amateur use. With the active ingredient Bromadiolone at the maximum legal concentration, Formula 'B' mouse poison bait blocks deliver a highly palatable rodenticide, thanks to a special blend of foodstuffs. 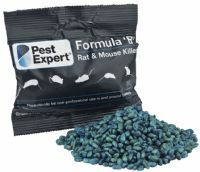 Pest Expert Formula 'B' mouse poison bait blocks contain the powerful single-feed rodenticide, Brodifacoum, at the maximum legal concentration (0.0029%). 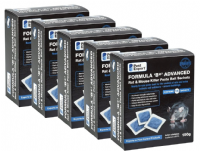 Formula 'B' Mouse Bait Blocks are a highly palatable and effective mouse killer product, thanks to a special blend of foodstuffs. Pest Expert Mouse Poison Bait Boxes are a heavy-duty lockable bait box, suitable for all types of mouse poison, including bait blocks, grain and paste bait. Mouse bait boxes provide a perfect solution for baiting outdoors, around buildings, denying access to children and non-target species. 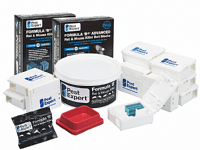 Pest Expert Mouse Poison Bait Boxes (Pack of 8) are designed to securely house mouse poison bait blocks or bait sachets. 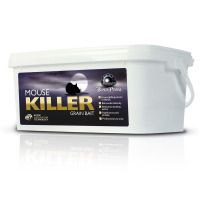 Each box provides both discreet and safe housing for mouse poison, perfect for use within either a home or business premises.